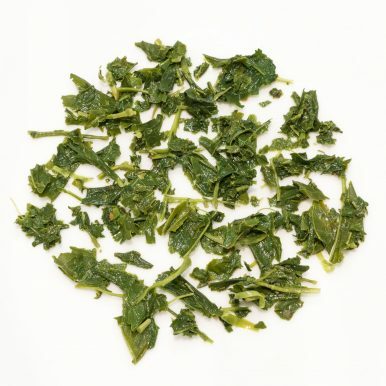 Kirishima Sencha is a classic and balanced, fully organic tea from Japan. The dark green leaves produce a bright emerald liquor with a light grassy aroma. The smooth, subtle vegetal flavour of this tea has sweet buttery notes with a slight savoury edge. 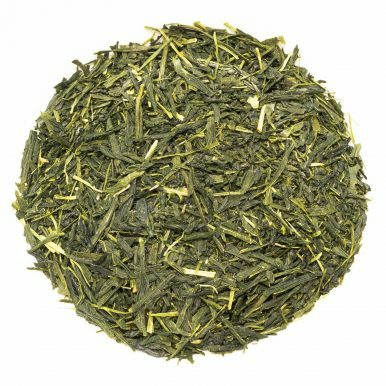 Kirishima Sencha green tea comes from the foothills of Mount Kirishima in Kagoshima Prefecture, Kyūshū. It is grown at an altitude of around 400m above sea level. As Kyūshū is the most southwesterly island of the Japanese four main islands, it enjoys a rather mild climate. But it can still get cold in the highlands, which are covered in snow in the winter months. The seasonality of the region requires frost hardy cultivars to be used, which tend to grow leaves slower, resulting in more flavoursome teas. 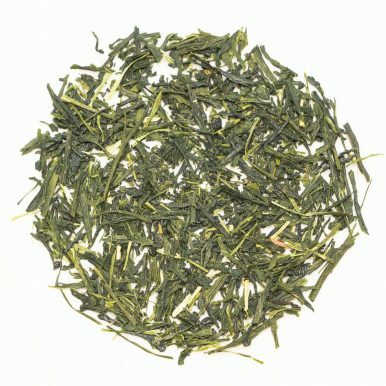 This Kirishima Sencha also has a full organic certification by the Japanese Ministry of Agriculture, Forestry and Fisheries. 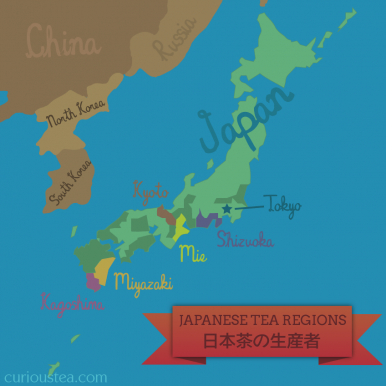 Japanese green teas have a distinct flavour profile which is quite different to Chinese counterparts. They are steamed to prevent oxidation of the leaves, which is the process that keeps it as a green tea and stops it from becoming an oolong or a black tea. After steaming, the sencha leaves will be rolled, shaped and dried. By contrast, most Chinese and other green teas are pan fried. This results in a large flavour difference between the two processing methods. Generally the green teas that are steamed are a lot grassier and more vegetal whereas the pan fried green teas are more like dried grass (hay, straw) and have a larger variety of predominant flavours. 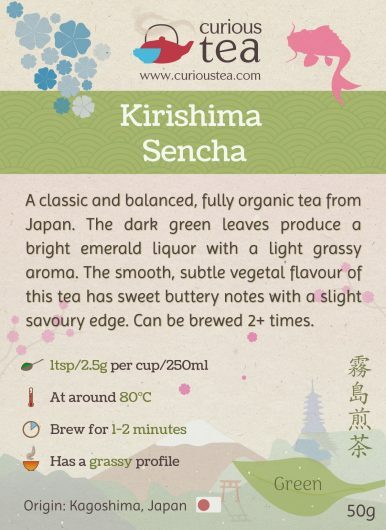 When brewed, Kirishima Sencha produces an emerald green liquor which is smooth and full with a nutty, mushroomy aroma. 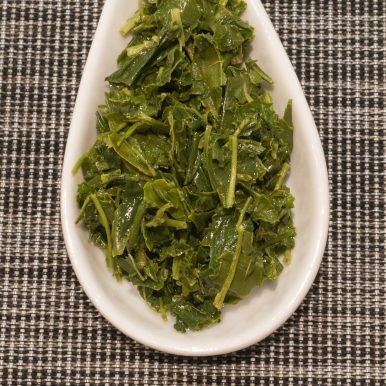 Its taste is sweet, grassy, lightly vegetal and buttery. It has low astringency and there are savoury hints of nori seaweed and a mild umami flavour which leads into a long aftertaste. Kirishima Sencha is best brewed at 80°C for 1-2 minutes according to your taste. It can be brewed 2+ times depending on your taste preferences. 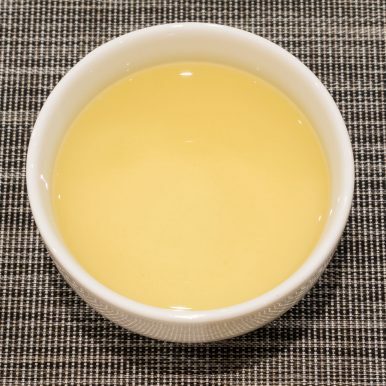 Kirishima Sencha is quite a versatile tea and the flavour can be easily adapted to suit the drinker’s preferences by changing the water temperature. Lower water temperatures will result in a more mellow and sweet tasting liquor. If you prefer a stronger and more astringent green tea, you can experiment with slowly increasing the water temperature used to brew it. 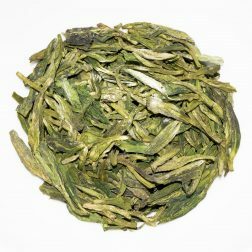 This Japanese Organic Kirishima Sencha green tea was first featured in our March 2016 Curious Tea Subscription Boxes.